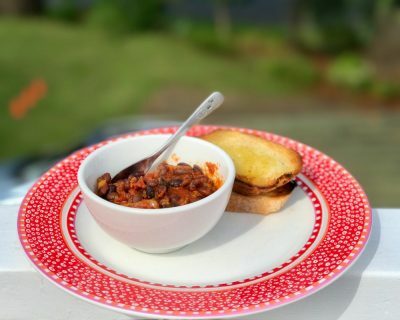 This is a simple curried version of homemade baked beans!! The boys loved them so much that I thought - maybe someone else's family will too! Gently heat the oil in a heavy based pan. Add in the shallots and curry powder and gently sautee until the shallots are soft and fragrant. Tip in the beans and the tinned tomatoes and season with salt and pepper. Cook on a simmer for 45 minutes until thick and fragrant, Add lime to taste.